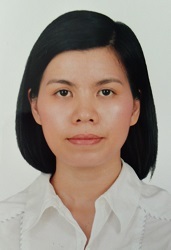 Nguyen Thi Thao Ho has joined DAISY as an international postdoc under the supervision of Prof. Torben Bach Pedersen since June 2017. Her work will focus on large scale big data analytics. Specifically, her research agenda is built around big spatio-temporal data analytics and modeling: from identifying significant relationships and extracting top insights from big spatio-temporal data sets to efficiently mining spatio-temporal rules, constructing spatio-temporal networks and characterizing spatio-temporal mobility patterns. The general goal is to research ground-breaking methods that can fully harness the value of Big Data. Moreover, the project will utilize spatio-temporal big data sets from different application domains, e.g. transportation and energy, so that the proposed methods can apply directly to considered areas and are expected to bring new insights into these application domains. Before joining DAISY, Nguyen obtained her Ph.D. in Computer Science from Politecnico di Milano, Italy where she worked on sustainable solutions, e.g. energy efficiency and data reduction, for Cloud Computing and Big Data systems.